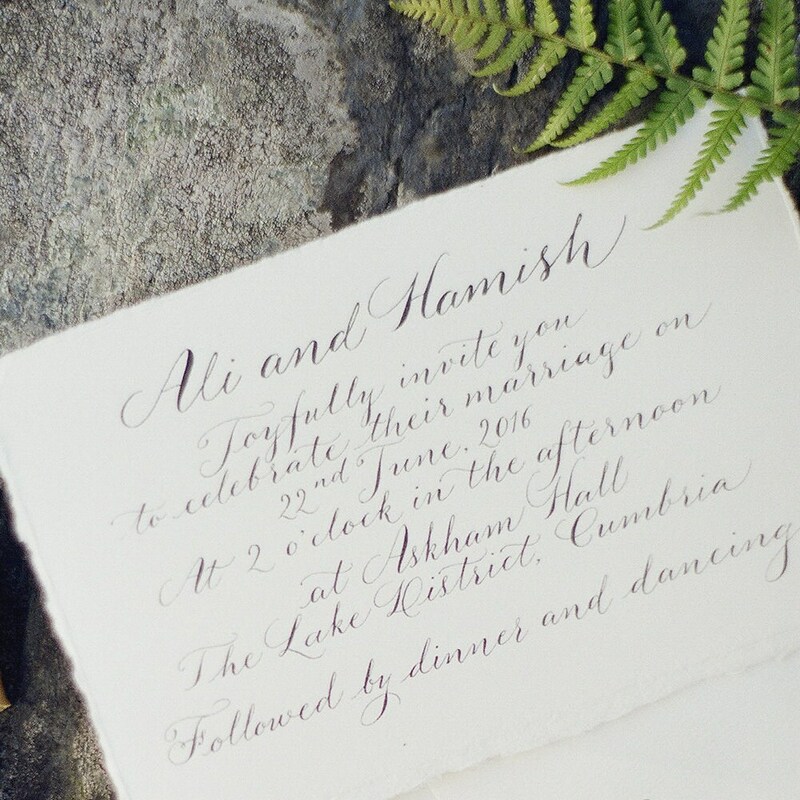 A superb quality handwritten calligraphy invite on wonderfully thick watercolour card. 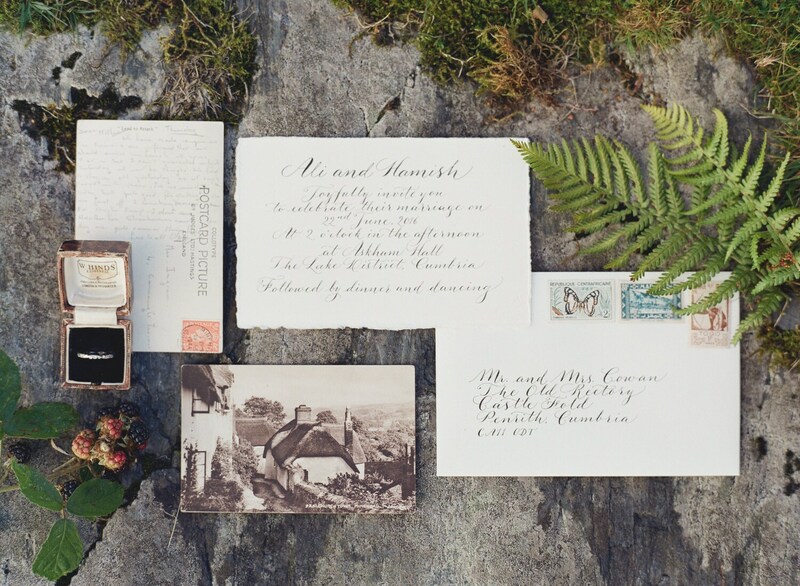 Every word is handwritten; every letter is carefully crafted to present the most exquisite invitations for your intimate wedding. 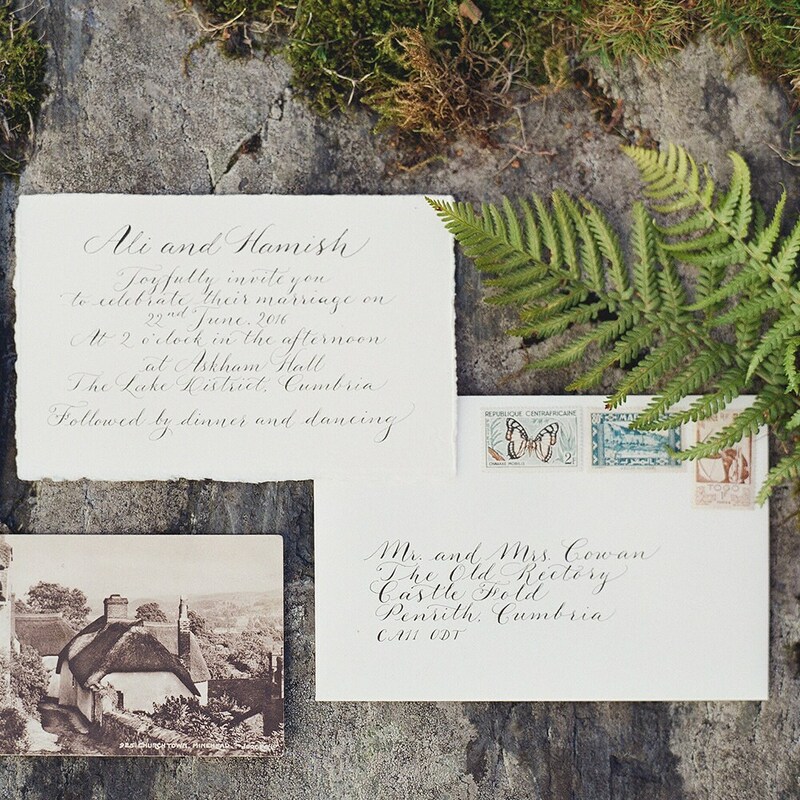 Hand torn watercolour card gives an intimacy and softness to your invites. 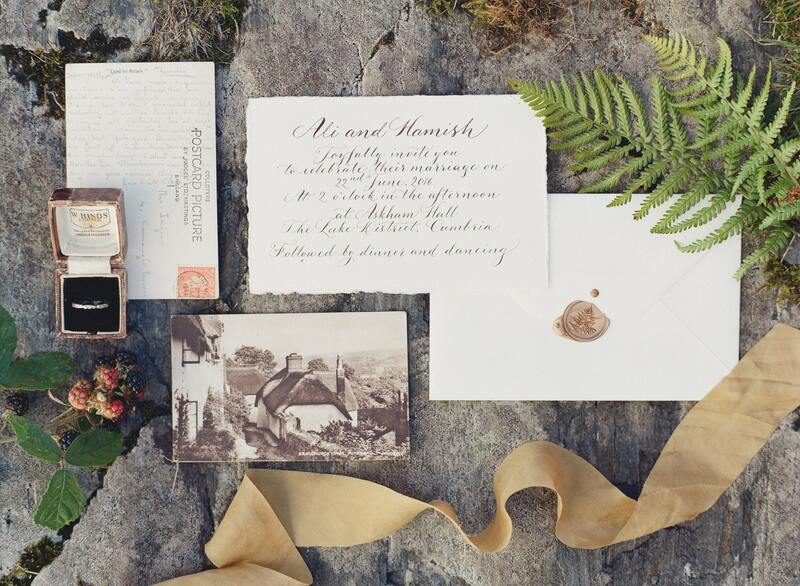 They're perfect for a relaxed, informal or rustic celebration with a contemporary edge. Calligraphy is written with a traditional dip pen and metal nib, in a flowing contemporary script. Please provide your own wording, and include guest names for personalisation if you would like to include these on each invitation. 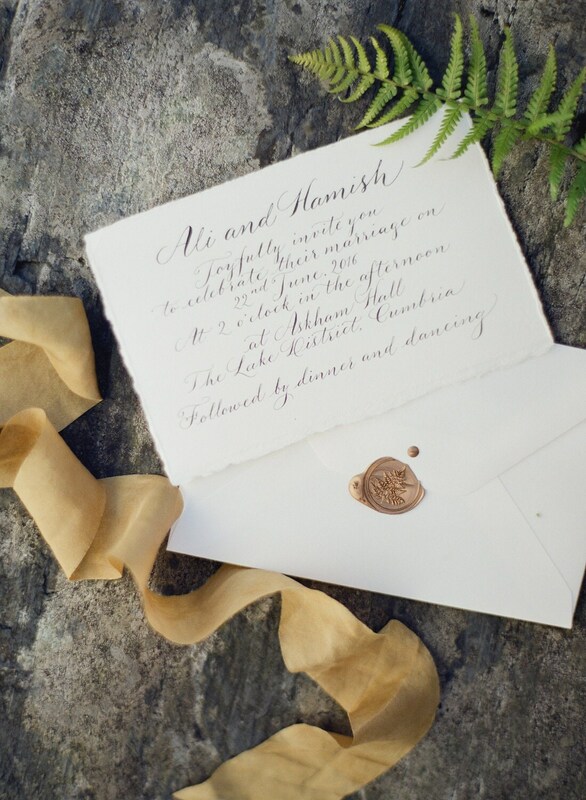 Each invitation has room for up to 40 words (written one side only), and up to 8 lines of writing.